Feeling the wind whistle past your ears as you whizz down a hill on a bicycle must be one of the best feelings. That’s why I am so keen to find a cycling system that will work for Natasha. It needs to be something that harnesses Natasha’s incredible strength. 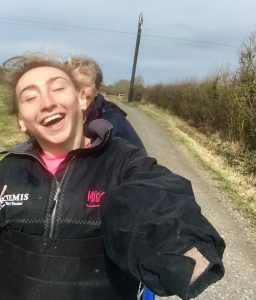 I first came across an organisation called ‘Charlotte’s tandems’ http://www.charlottestandems.co.uk/ in 2015 and contacted them to see if they might have something we could borrow. They lend out tandems, completely free of charge, right across the country. But at that time they didn’t have anything suitable. I have looked at Charlotte’s tandems website but I don’t think they have a tandem that will provide enough core stability for Natasha. They have duet wheelchairs. They might be good for some people – but they are not what we are looking for, because the person in the wheelchair is just a passenger and not putting any of their energy in to moving. We need Natasha’s help to get up the hills! Research online. We came across a three wheeler rear steer tandem (a GD Strada Road Tandem) with a bucket seat at the front. This definitely looked promising, but we weren’t sure if Natasha would be able to cycle in this position. Only one way to find out. 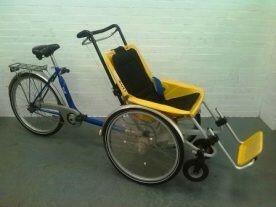 We contacted a company based in York called Get Cycling and they offered to bring one down to Eastleigh for us to try. There was an air of excitement as we boarded the ferry to the mainland. 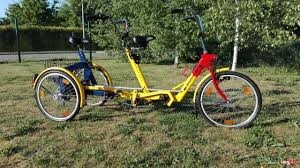 How disappointing it was to discover that they hadn’t brought this bike but a two wheeler tandem: A Hase Pino. It was a tandem, with a recumbent seat, but with only two wheels, it was nowhere near stable enough to be able to lift Natasha on and off it. Cherrell and I tried it out, with me steering and Cherrell sitting in the front seat in mortal fear. She said it was one of the scariest things she had ever done! Nothing to do with my steering, of course! 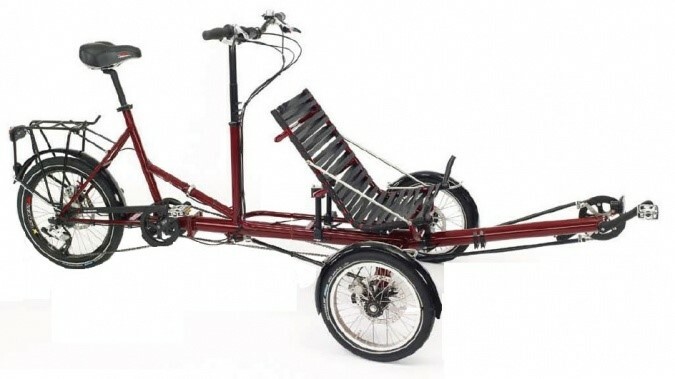 Back to the drawing board to try and find a tandem rear steer trike that Natasha could use. We feel sure that if we find the right tandem, Natasha and others with athetoid cerebral palsy, will soon be whizzing around the Island. My sons are keen to take Natasha for a spin! 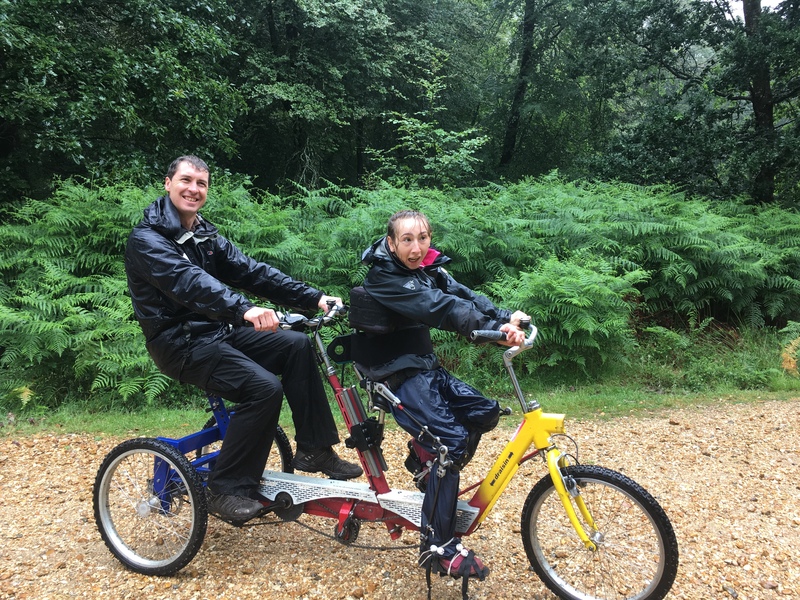 Discovered Pedall Inclusive cycling in the New Forest. Ahh! They might have the perfect tandem. It’s called a Draisin Duo. We’ll have to go to the New Forest to try it out. But when? Natasha’s birthday, of course. Natasha’s birthday and it is raining! No problem, we will just get wet! Andy Brennan, from Pedall, was endlessly patient and positive. It might have taken an hour to find the best modifications, ( footplates, straps, gloves …..) but he persevered and it was worth it. Despite the pouring rain, Natasha managed to sit on, and almost pedal a Draising Duo. It wasn’t perfect and we will need to find an engineer who can modify the seat pillar so that we can use Natasha’s brace – but this felt like a major breakthrough. It has been a busy summer sailing so the tandem has taken back seat for a while. 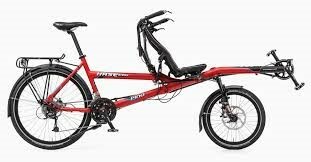 I have been keeping my eyes open to see if Pedall were having a visit to the Isle of Wight and bringing some bikes over so that we could try the Draisin Duo again, and maybe let an engineer look it over to see if they would be able to make a fitting for Natasha. 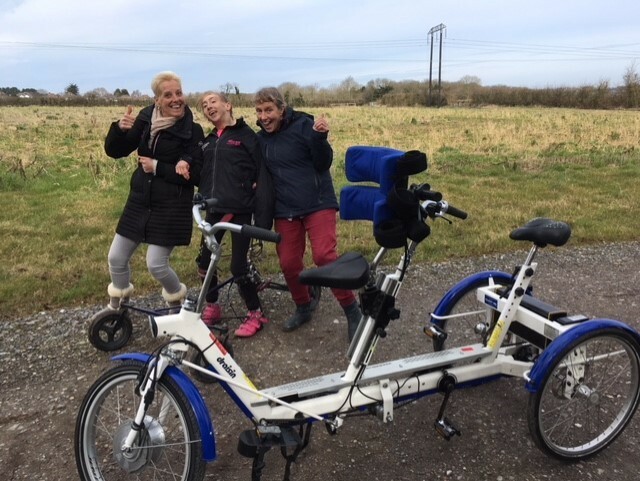 We have asked Quest 88 if they could bring a Draisin Duo to the Island for Natasha to try out again. So exciting. James Morant from Quest 88 has arrived with the tandem. I feel a bit apprehensive. Maybe the New Forest Experience was a fluke and we wouldn’t be able to use it with Natasha. My fears were unfounded. With judicious use of straps and Natasha’s David Hart walker brace, Natasha was able to not only sit comfortably and safely on the saddle but she was able to pedal too. Mandy, Gary, Cherrell and I all had a go being the stoker. It was great, (even if I was rubbish at steering, at first!). 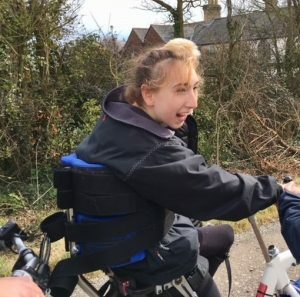 I think if we had an array of straps, footplates, mittens and a supply of willing able bodied cyclists, this Draisin Duo could quickly be adapted for a variety of other people so it would be ideal for the charity. But what about the cost? And storage? And transporting it around the Island? I think we would have to have one with a battery otherwise the Isle of Wight Hills might defeat even Natasha’s strong legs. That’s an additional cost. It’s about £9,700 for the tandem with battery, and additional fixings. Looking online for something like a motorbike trailer, that’s another £2000. Better start looking for some grant funding. Emailed the Aviva Community Fund to see if they could help with funding. I’d read a few of their previous reports and thought that they might be willing to support Natasha and her charity. Received reply from Aviva. They have stopped giving community grants! I am going to try applying for funding to WightAid. Fingers crossed.